At Guildford Town Garden Centre, we have one of Perth’s widest range of plants including unusual and often harder to find varieties. We specialise in fruit trees and ornamental trees and have our full range of these online. 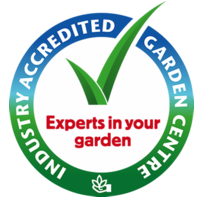 Our nursery carries a full range of herbs, perennials, succulents, shrubs and other plants. Not all varieties we carry are online, so give us a call or use our Orders/Special Requests facility if what you are looking for is not online. Looking for trees? They are plants too, but we have so many to choose from they have their own section - see our Trees.